Craig celebrated his 10th Anniversary as a Grand Ole Opry member with an appearance on the Opry last night at the Grand Ole Opry House performing some of his biggest hits including “Redneck Yacht Club,” “That’s What I Love About Sunday,” and a new song “Whiskey,” among others. 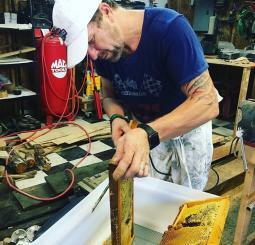 Craig Morgan will host an open-to-the-public event at his family-owned-and-operated farm-to-home business, The Gallery at Morgan Farms, next week in celebration of Tennessee Craft Week. 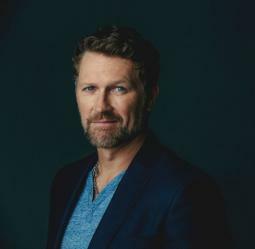 The Armed Services YMCA is happy to announce country music icon and Grand Ole Opry member, Craig Morgan will perform at the 12th annual Armed Services YMCA Angels of the Battlefield Awards Gala. Craig will grace the stage on October 2, 2018 at the Ritz Carlton in Arlington, Virginia. 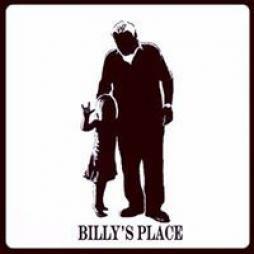 The Dickson County Craig Morgan Foundation’s updated ongoing mission is to enrich the lives of children in foster care and foster families in the area through fundraising that supports needs identified by the Department of Children’s Services (DCS) and Child Advocacy Center in Dickson County, Tennessee. 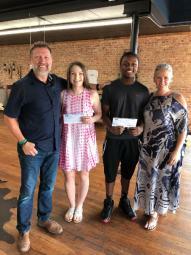 Craig Morgan alongside his wife Karen Greer and the entire family are honored to award the 2018 Jerry Greer Memorial Scholarship to deserving youth in Dickson County, Tennessee. 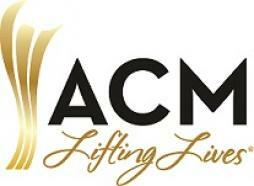 CM Lifting Lives® and the Vanderbilt Kennedy Center for Excellence in Developmental Disabilities will partner again for the 9th Annual ACM Lifting Lives Music Camp, June 13-June 20, 2018, in Nashville, TN. 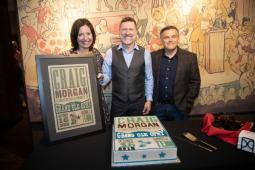 The finale will take place Tuesday, June 19, 2018 on the stage of the Grand Ole Opry as ACM Lifting Lives Music campers offer a live performance with Craig Morgan. 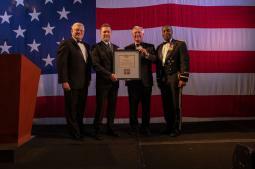 Craig Morgan will be awarded the Army’s Outstanding Civilian Service Medal in recognition of his dedication to entertaining troops and their families around the world. 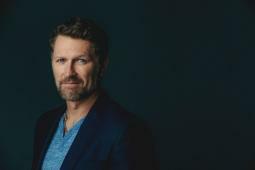 Craig Morgan and other Country artists will be performing at the Grand Ole Opry's Annual Salute The Troops to honor the Tennessee National Guard Family Programs and the USO show on May 22nd. Tickets go on sale Thursday, Mar 3rd at 10am. Copyright © 2018 Craig Morgan. All Rights Reserved.